All Endure Executive Chairs employees quality material and sophisticated styling for contemporary office space. The chairs are ergonomically designed for highest level of comfort with contoured back support.All our chairs are loaded with the latest and advanced features as per clients requirements like Push-back, Tilting or Synchro-Tilt mechanism, PU Cushion or High density foam etc. All the Endure revolving chairs come with a hydraulic gas lift mechanism as a standard fitting for a one touch adjustment of the seat height. 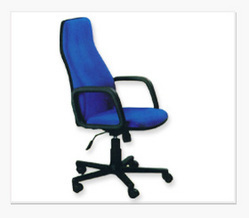 Being the leading manufacturers and suppliers of Executive Chair With Pu Cushion (high back). The modular range of tastefully designed chairs with PU cushions, PU Arms, Synchro-Tilt mechanism and steam pressed ply. 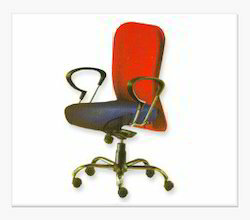 These ergonomically designed chairs provide highest level of comfort for long hours of stress free work environment. 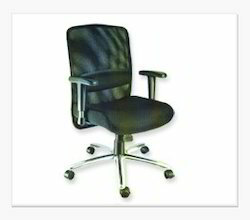 Our clients can avail from us a wide range of Mesh Back Executive Chair. High performance chairs with extra wide seat and back. The back support of the chair can be released in free float mode to provide constant support to the body. Ideal for offices, company executives and 24 hour work environments. 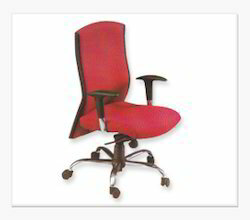 Our organization is highly responsible for offering a widespread assortment of Medium Back Executive Chair. The Executive ergonomic chair features a contoured backrest combined with padded hand rest. This chair is specially designed to provide superior lower back support. The orthopedic quality cushions will keep you comfortable for hours. 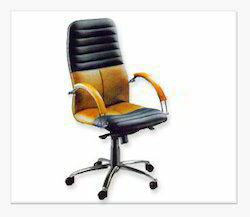 Our company is the chief in offering Contoured Backrest Executive Chair. The executive chairs with beautifully contoured backrest ensures constant support, functionality and ease of adjustability. These chairs are designed specifically for those who require seating to keep them comfortable for longer period of time. 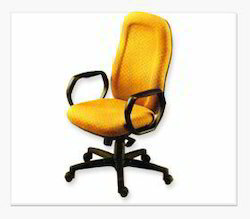 We are engaged in manufacturing and supplying a wide range of Trendy and Elegant Chair for Top Executives. Stylish, contemporary and comfortable chair for top executives. The innovative design of the chair offers maximum ergonomic benefit to users. This range has adjustment controls for ultimate comfort.